Obituary for Ralph E. Patton | Brooks Funeral Home and Cremation Services P.C. Born June 13, 1929 in Danville, he was the son of the late Torrence D. and Ada G. (Clark) Patton. On July 8, 1951, he married the former Roselee M. Gresh in First Lutheran Church, Watsontown, where they are members. They celebrated 67 years of marriage. Ralph was a 1947 graduate of Watsontown High School. He worked for many construction companies as a lineman and later as a technician for Watsontown CATV. 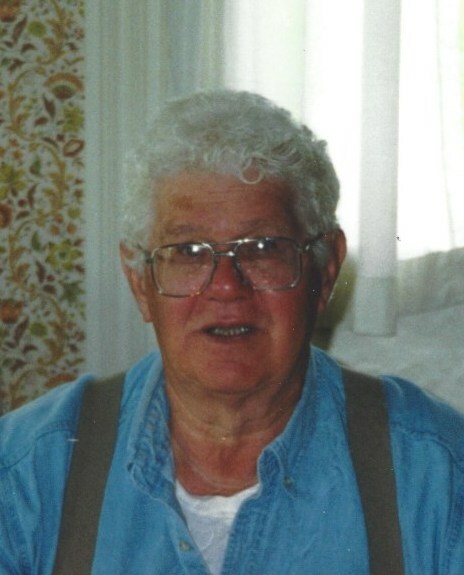 Ralph also enjoyed growing crops with his family on his farm where he lived for 60 years. He was an avid homing pigeon owner and breeder of many racing champions. He also enjoyed hunting, especially pheasants on his farms. He will be remembered in the community for the roadside sweet corn and strawberry stands his family operated for over 25 years. Ralph will also be remembered for his dedication to his family. In addition to his wife, Roselee, he is survived by his four children and six grandchildren: Lane Patton Taylor, of Watsontown and her children Jonathan and Elizabeth; Mark E. Patton and his wife Kathleen, of Dryden, NY and their daughter Shannon; Karl L. Patton and his wife Carolyn, of Lee, NH, and their son Benjamin; and Bradley R. Patton and his wife Callie, of Staatsburg, NY, and their children Clara Rose and Samuel. Ralph was preceded in death by his brother, Kenneth C. Patton. There will be a private graveside service held at the convenience of the family. In lieu of flowers, the family suggests contributions in Ralph’s memory be made to the Warrior Run Ambulance Service, PO Box 8, Watsontown, PA 17777.